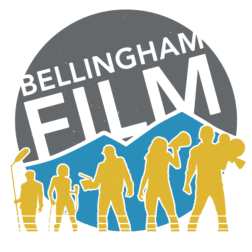 Become a Bellingham Film Member Today! The BF Membership program is an opportunity to support the growth of your film industry. We want our members to work side by side with us in creating a new future with film in Bellingham.  Invitation to Film Movement meetings where we discuss the future of film in Bellingham.  Free registration to our production task force. ​ Invitation to Film Movement meetings. ​ Free registration with BF Production Task Force.  *Discounts from local businesses.  *Discount on training programs. Volunteer your time and ideas to help our film community continue to grow. Contact us or visit our volunteer page. Want to know what's happening in Bellingham Film? Check out our latest Newsletter. We are always looking for new volunteers, businesses, and organizations that can offer funding to support our existing programs, develop new ones, and improve the old. ​Contact us for more ways you can help. We need your support to make our local film industry vibrant, financially viable, and educational. ​If you would like to donate to us without becoming a member please do so below.  Invitation to Film Movement meetings.